My front yard is littered with pine trees. 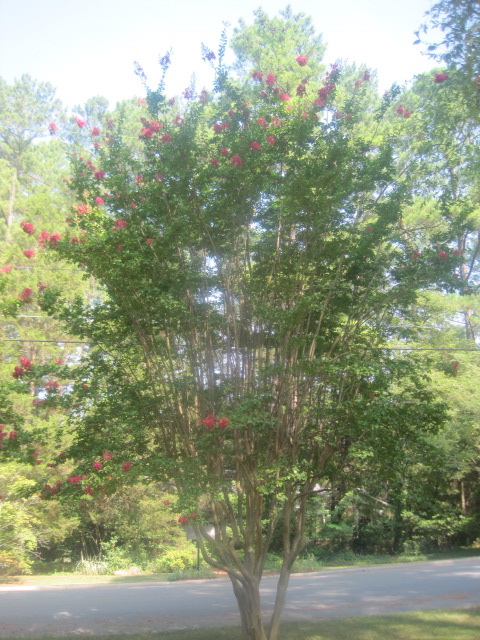 I’ve never liked them; they make the front yard feel almost claustrophobic. 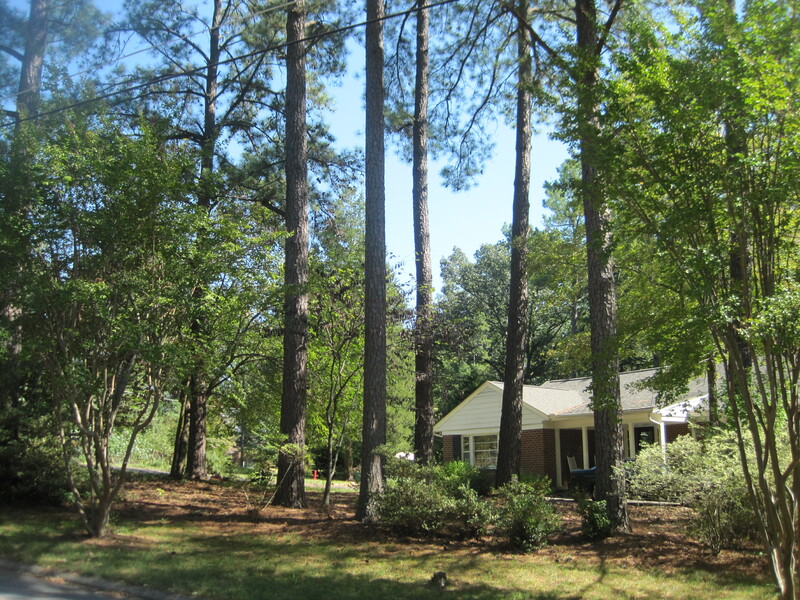 When Mark and I first moved to this house, we talked about removing the pine trees, but then we found out how much it costs to remove just a single tree and that dreamed quickly faded. Also, somehow it seems wrong to remove a bunch of trees (all of which are probably older than either of us and have certainly lived on this property longer) simply because they don’t suit our tastes. Regardless of the reason, the pine trees are here to stay. I have noticed one small financial benefit of the pine trees: they drop their needles periodically all over our driveway which makes them easy to sweep up. Then I can use them as mulch. 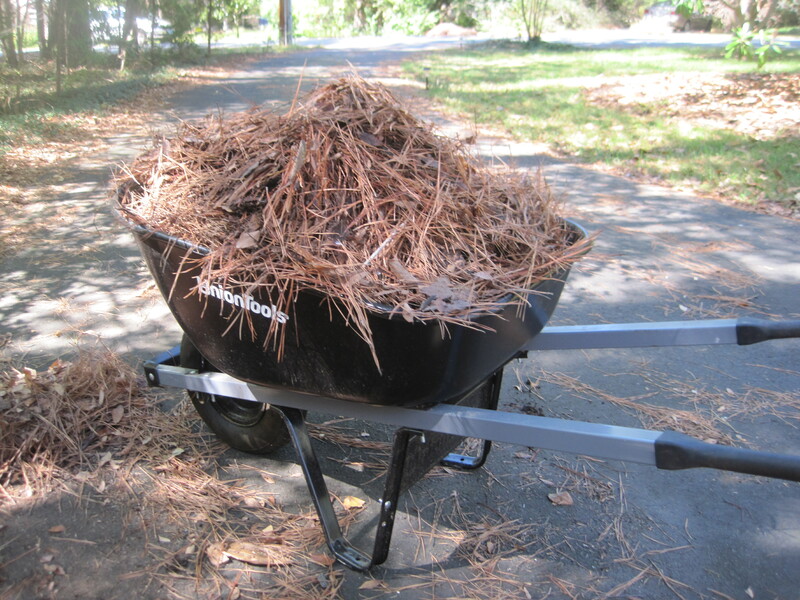 Pine straw is actually a fantastic mulch: it breaks down slowly so you don’t have to replace it frequently; it’s lightweight and easy to apply; it doesn’t attract termites the way wood mulch can; and it provides nutrients to the soil. In fact, many people pay good money for what we’re getting for free. Now I have to go find my Birkenstocks. 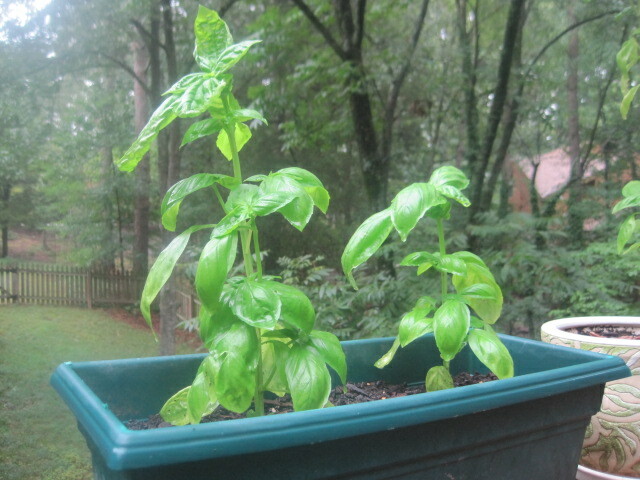 Few money saving ideas excite me more than growing my own plants from plants I already have. And that’s exactly what I’ve been doing with my basil, gardenia, and Christmas cactus plants. I’ll give them another week in the cup of water and then I’ll transfer them to their own pots with some soil. 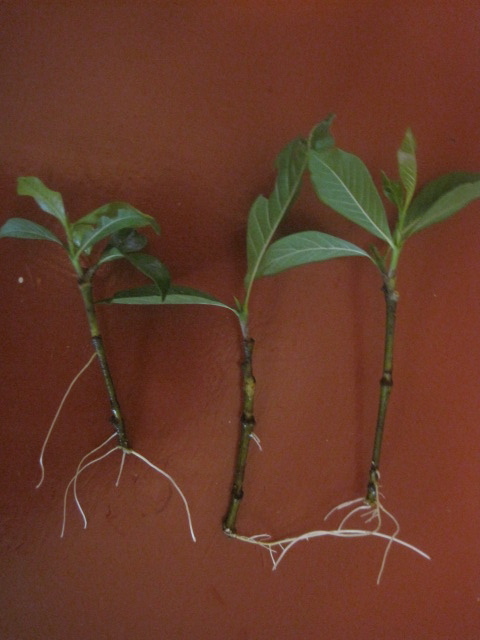 I’ll try transferring them, along with the gardenia cuttings, to their own pots with soil next week. I’m becoming a little cloning addict. Do you have any recommendations for other plants that I can easily clone? I’m ready! In our backyard, we have two gardenias (I wrote about them several weeks ago when I clipped some of their flowers for a yard bouquet). 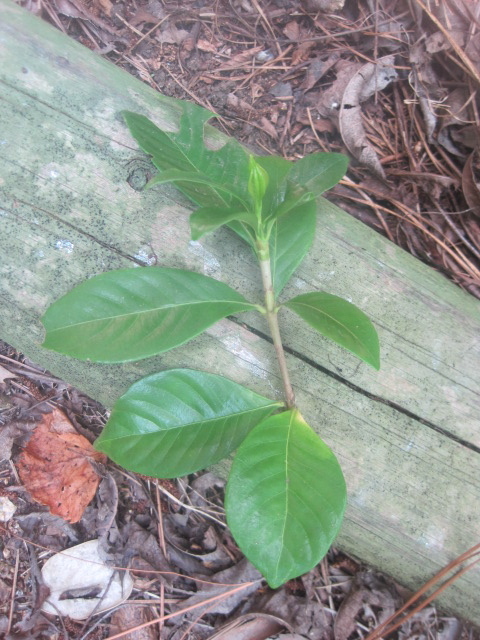 Rooting cuttings from gardenias is surprisingly easy and the summer months are a great time to take clippings. Here’s how to do it the easiest way imaginable. Repeat this process as many times as you’d like. I took about six cuttings. 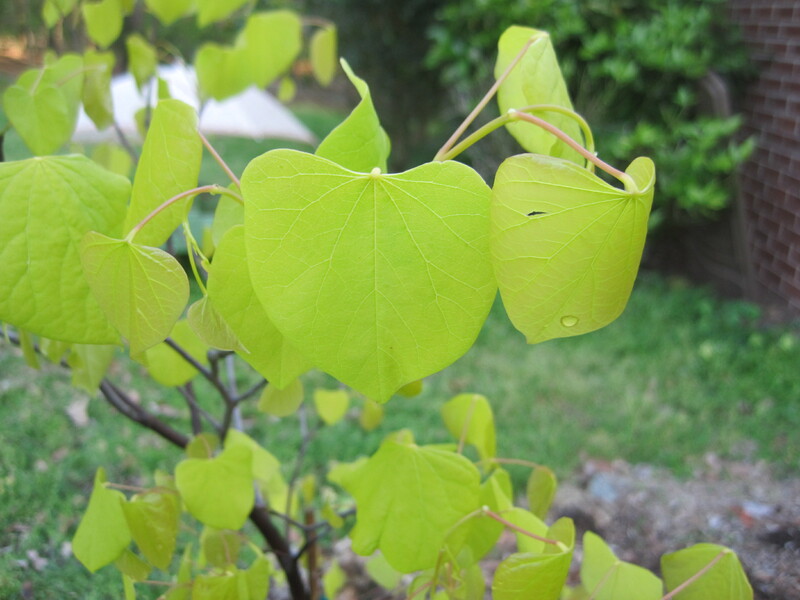 Bring the cuttings inside and put them in a glass of water in a bright window (out of direct sunlight). Now I have six potential baby gardenias decorating my kitchen window sill. They’ll start to grow roots over the next couple of weeks. 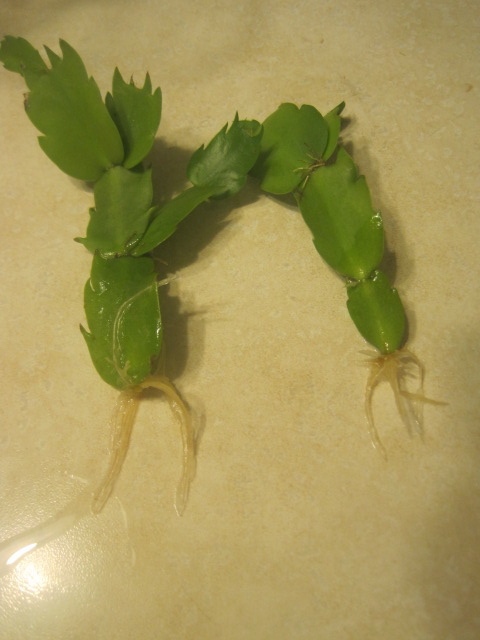 Once the cuttings have developed a fair amount of roots, I’ll put them in small pots in a little potting soil. I’ve read that it is not a good idea to try to plant newly rooted cuttings outside in the fall — they aren’t likely to survive over winter — so I’ll keep them inside until next spring. 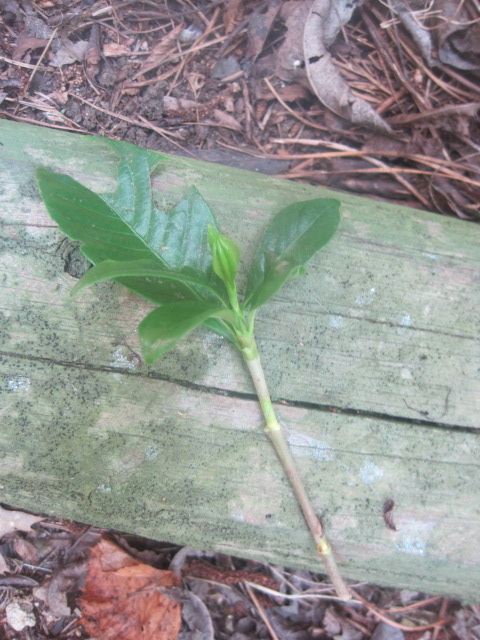 That said, since I’ve taken several cuttings, I may try one outside just to see what happens. 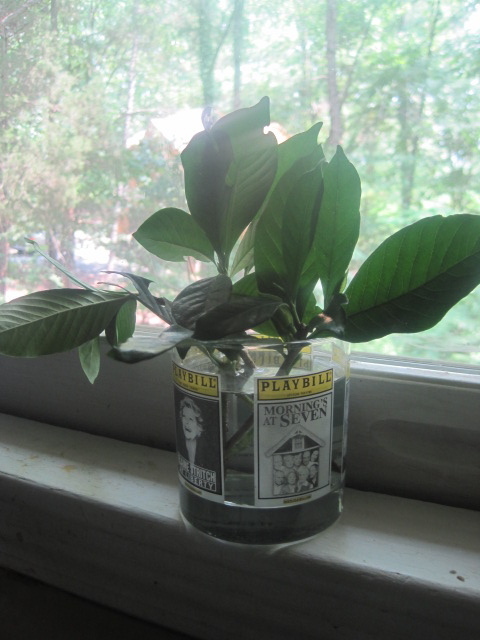 Last summer, I took two cuttings from our gardenias. While both rooted for me in water, I managed to eventually kill them. 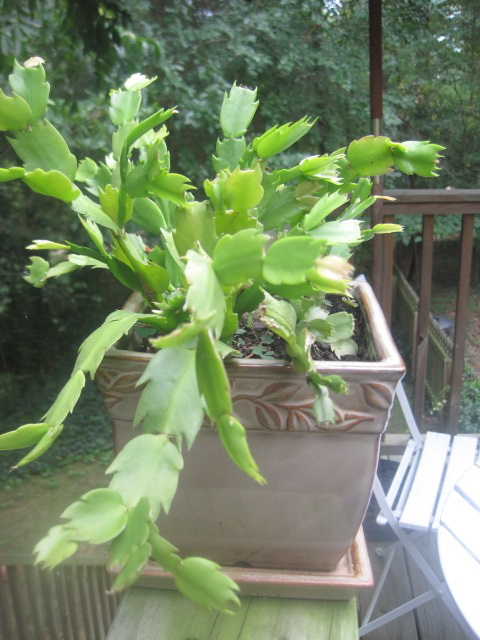 I transferred them to some potting soil to keep inside over the winter and, throughout the winter, I watered them about once a week or whenever the soil seemed to just get dry. But as spring approached and they started to show signs of growth, I got a little over-excited and started to water them excessively. Bad idea. I think rooted baby gardenias planted temporarily in small, festive pots would make fabulous (and very inexpensive) holiday gifts for friends and coworkers. Don’t you? I have discovered how to make flowers bloom. 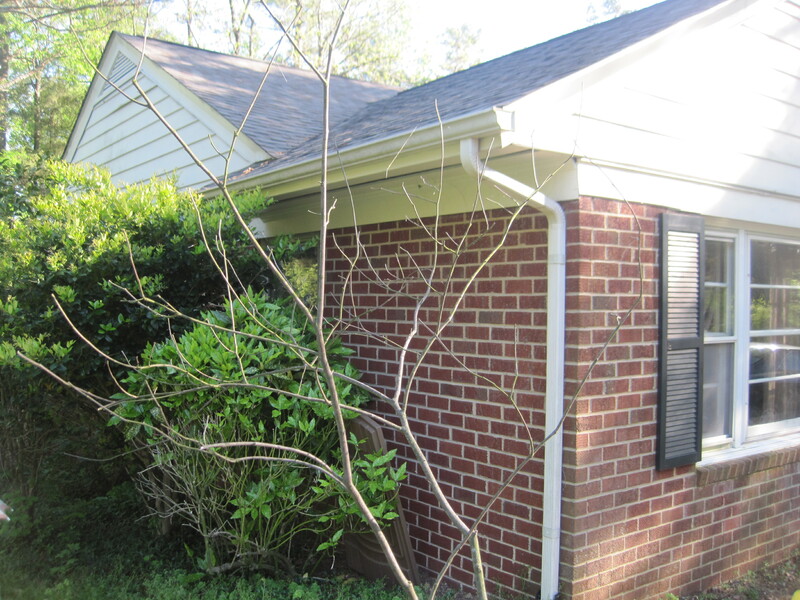 I recently lamented about our five crape myrtle trees — year after year they have failed to bloom. 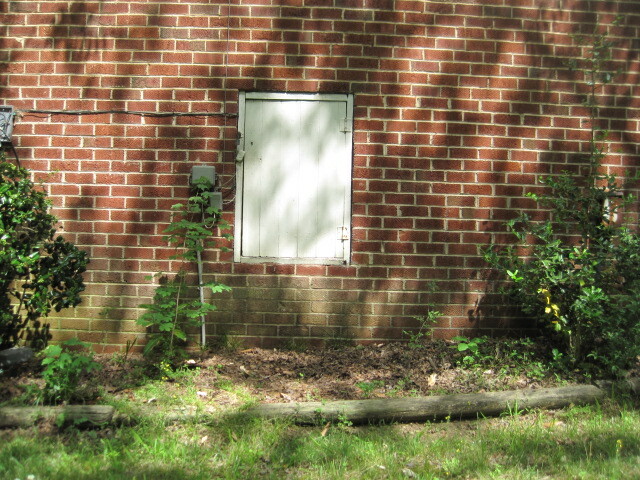 They have even perplexed our local master gardeners whom we called for advice. 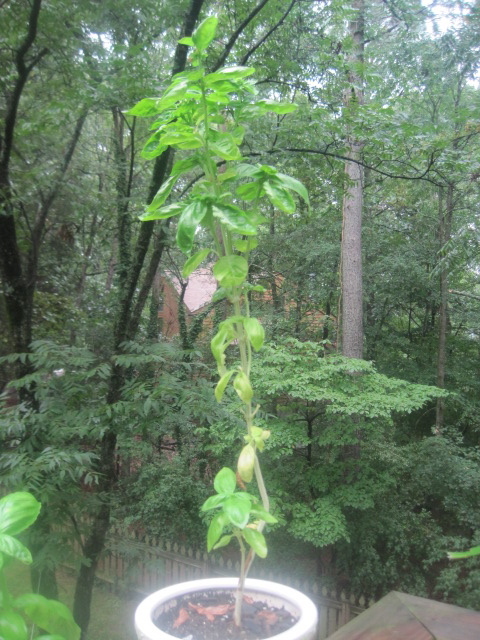 Well, a day or two after I wrote about my disappointment in the trees on this blog, they started blooming. While they’re not blooming magnificently, they are blooming far more than they’ve done in all the years we’ve lived here. So put down your expensive fertilizers. 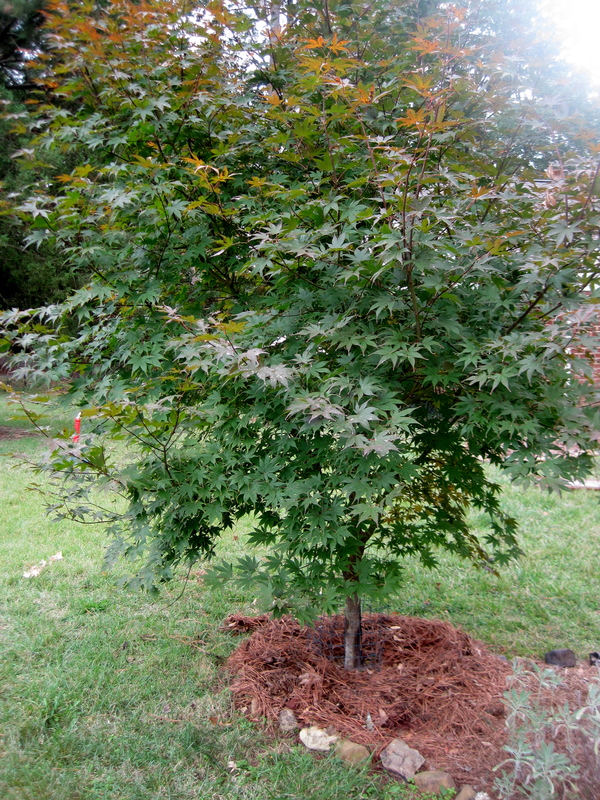 Don’t worry about compost or mulch. Forget about sunlight and water needs. Figure out ways to publicly humiliate your plants and then see what wonders they’re capable of. 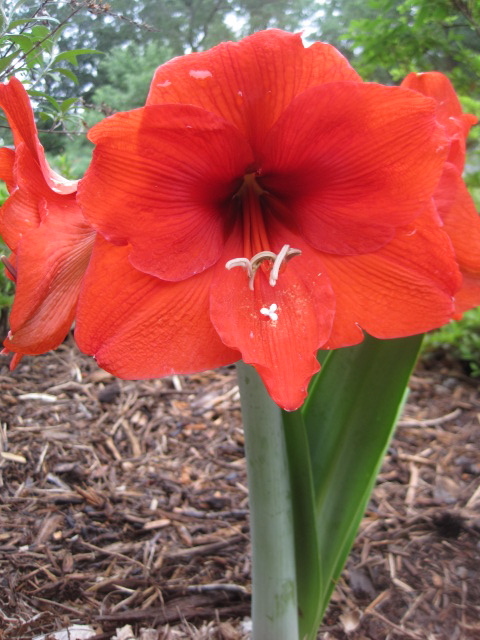 Amaryllis plants are ubiquitous during the winter holidays because it’s easy to force the bulbs to produce their huge red flowers indoors. Our neighbor Jim gave us an amaryllis as a Christmas gift in 2007. He told us that after it was finished blooming indoors, we could plant the bulb outside in early spring. We did and promptly forgot about it. Much to our surprise, the following spring — 2009 — it bloomed. And now it’s blooming again and it’s even bigger than it was last spring. The really great thing about this plant is that everyone is used to seeing these amaryllis flowers indoors, in a pot, at Christmas time. So now our amaryllis is a conversation piece with our neighbors. Several people have stopped to ask us if that’s really an amaryllis, outside, blooming in May. So the next time someone gives you an amaryllis during the holidays, don’t throw it out after it has finished blooming. 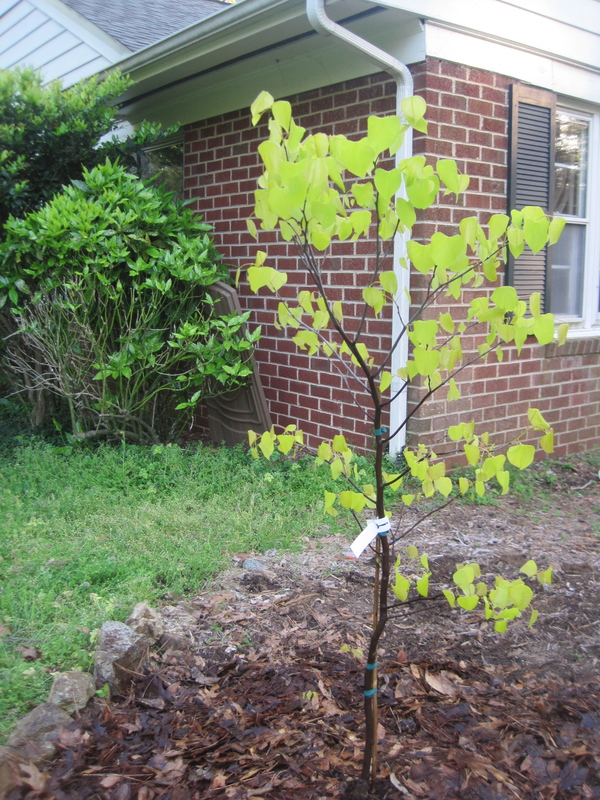 Instead, start thinking about where in your yard you can plant it in the spring. You’ll finally have something to talk about with your neighbors. Step 2. Clear the space of any weeds. That's the phone box off to the left. Step 4. Amend the soil. Our soil here is very heavy clay. When I dig it, it comes up in chunks. A plant would need to have freakishly strong roots to get through this soil. 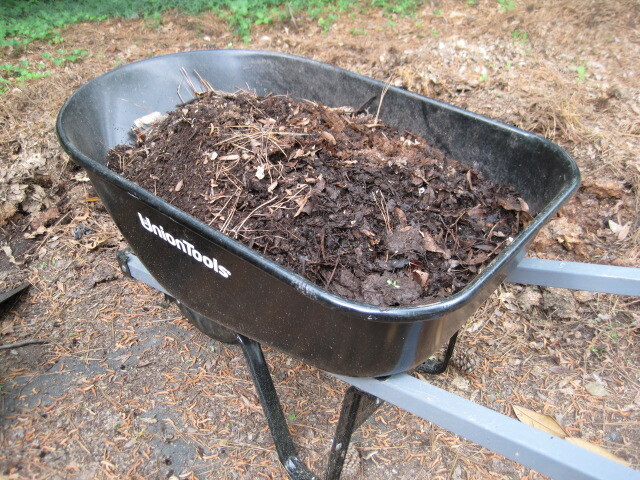 So in order to make the soil looser and give it some nutrients, I added a wheelbarrow full of compost mixed with leaf mold and dug it into the soil in the vegetable bed. Leaf mold is a fancy term for shredded leaves that have been decomposing in my driveway for quite some time. Our town offers curbside pick-up of leaves in the fall. If you call ahead of time, they will also drop off a huge pile of leaves that have been shredded in their big machine. I did that in the fall of 2008 and I’m only now finishing the leaf pile. If your town doesn’t offer such a service, an easy alternative is to rake your leaves in the fall into big plastic bags. Tie them up and punch several holes in them with a screw driver. Leave them alone and in the spring they’ll be nicely decomposing. For bonus points, you could run your lawnmower over the leaves before you rake them and put them in the bag; the lawnmower will shred them for you which will speed up the decomposition process. Step 5. After you amend the soil, wait a couple of weeks (if you’re patient). Waiting allows the soil to settle and attract nice earthworms. 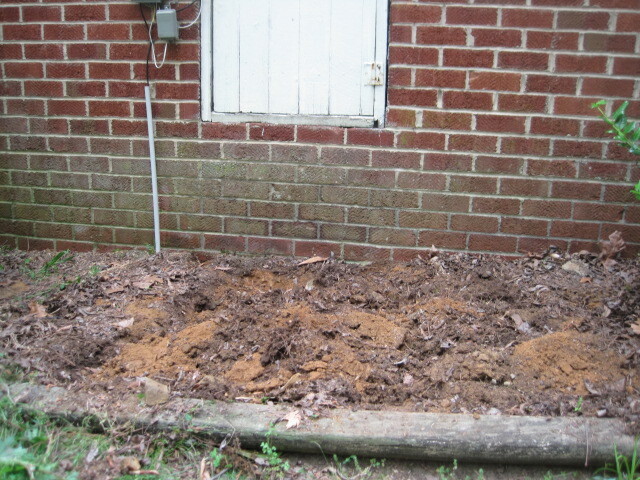 I am seldom patient and since I had already had the vegetables that I wanted to plant, I just went ahead and added them. Had I waited, I would have seen that my dogs wanted to dig up the earth and might have reconsidered planting my vegetables there. Ah, hindsight. Step 6. Dig a hole twice as wide as the root ball and as deep as the vegetable plant was in its container. 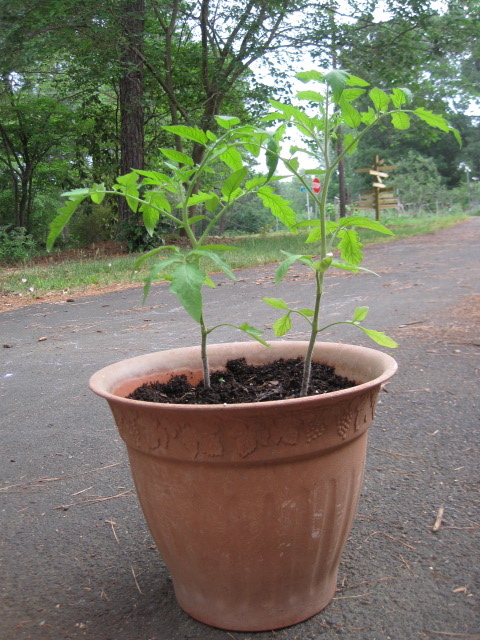 The vegetable plant should sit evenly with the surrounding soil. Place the plant in the hole and fill in with the soil. Press down firmly on the surrounding soil. 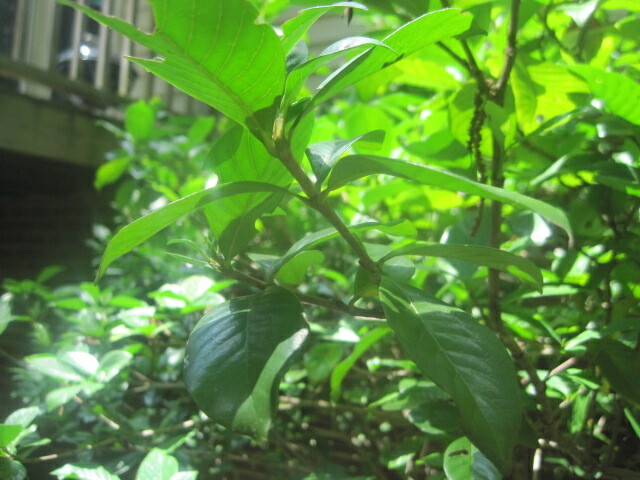 Continue with the rest of the plants in the same manner. Water thoroughly. 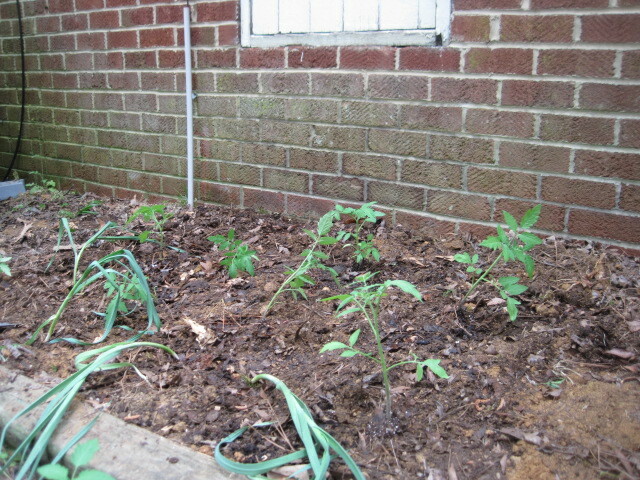 I planted tomatoes as well as some leeks that my neighbor Kirsten gave me. The vegetable garden looked pretty good. My dogs thought so too. Truth be told, I suspect it was just one of my dogs who dug up my garden, but I won’t name names. All I can say is this particular dog is awfully lucky I have a little thing called unconditional love for her. 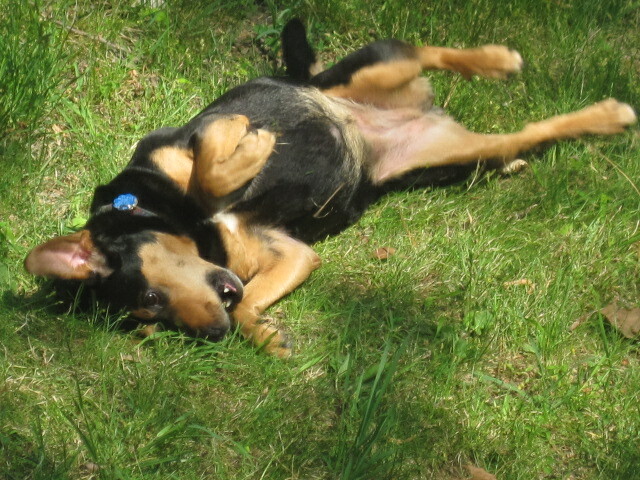 See how she's all playful and happy after digging in my garden?